Banyule City Council became a member of the WHO Global Network of Age-friendly Cities and Communities in December 2014. This time also marked the commencement of the inaugural Banyule Age-friendly Advisory Committee (BAFCAC) which brings together residents, government and local agencies to support Banyule in being an age-friendly City. The BAFCAC advises Council on a range of issues that may influence policy, service and program development as it affects older people. This advice will assist Council to identify, articulate and respond appropriately to new and emerging issues and to develop and implement plans that benefit the community. Banyule has also established an Age-friendly City Champion program. Interested residents are provided with free training which provides an understanding of active ageing and creating age-friendly communities. This builds residents skills in identifying opportunities and challenges within Banyule that may need to be addressed for us to become more age-friendly. The purpose of the Program is to invite ‘our champions’ to assist Council in a number of different activities which will influence and shape Banyule’s age-friendly journey. Some of these activities will be one-off and at other times they will require a champion to use their skills on larger projects. An example of a project underway includes a group of Champions working on a photographic imagery project which is considering what is age-friendly in Banyule. 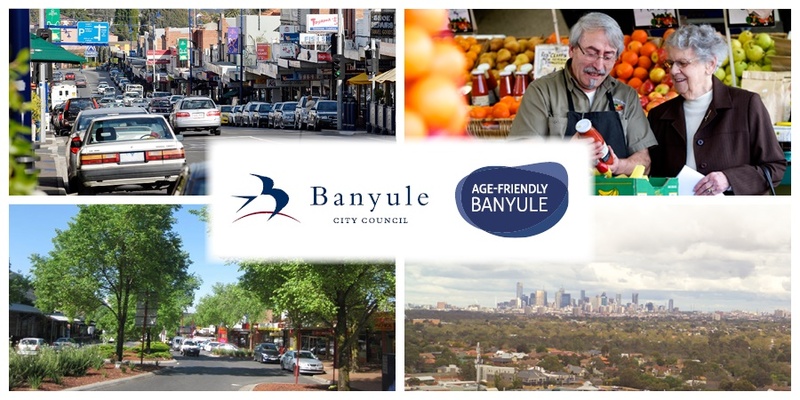 The development of age-friendly city indicators (this pilot project) is an important step in identifying Banyule’s baseline level of age-friendliness and monitoring how it changes over time as we implement relevant interventions. The establishment of indicators is an important step towards Banyule developing their Age-friendly City Plan 2015 – 2018.